First Piedmont was founded in 1969 in response to the needs of the Goodyear Rubber Tire Plant in Danville, VA, and our expertise in serving industrial customers has been growing ever since. 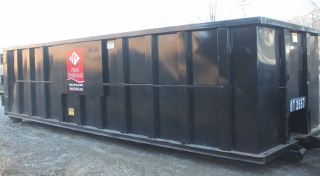 Regardless of the size of your manufacturing facility, we can provide the equipment and the service that you need for waste removal and recycling. Our industrial landfill near Danville, VA, offers customers a secure CERCLA certified disposal facility. With over 70 trucks, four fleet maintenance facilities, and 24/7 on –call response, we can promise our customers exceptional service. First Piedmont Hauling, a sister company to First Piedmont Corporation, offers hazardous waste hauling in 11 states from Michigan to Alabama and points in between. In operation since 1984, First Piedmont Hauling drivers have experience in on the eastern seaboard and in the Mid-West.